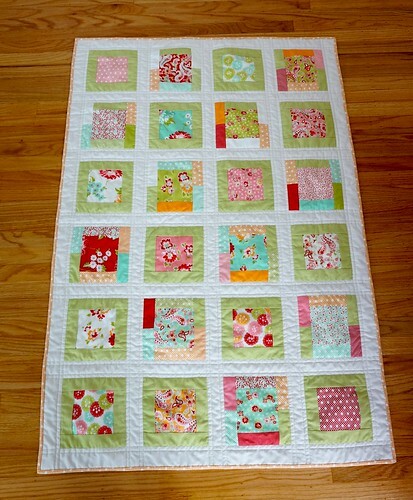 I LOVE that I finished this quilt! I started this a couple of years ago when my older girl was moving from her crib to her toddler bed. Now it’s done thanks to this post on Ginger Makes! I was inspired to finish one of my UFO’s in February! 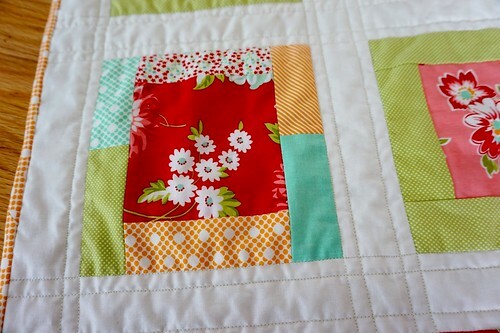 I used a charm pack and yardage from Moda’s Scrumptious by Bonnie and Camille. The colors are just beautiful! I also like the vintage feel of the flower design. 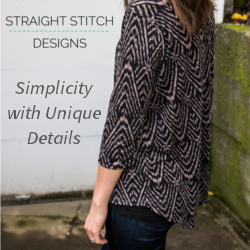 I remember it took me awhile to figure out what type of pattern I was going to do, and I settled on this simple design. I really wanted to use all of the charm squares and not much else. 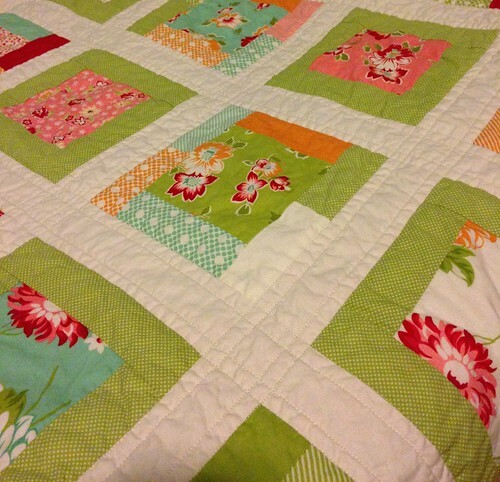 I picked up the off white fabric from a store that is now closed, but it’s so incredibly soft and gives the quilt a very clean look. 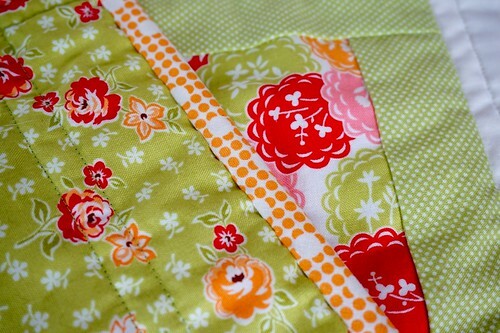 I opted to use another print from the Scrumptious line for the backing over a more simple backing. I figure it can be reversible depending on her mood. The bias binding I attached and hand stitched with a ladder stitch using the techniques in these videos. When I found these videos several years ago, I was so crazy happy because I really liked the simple way that she attaches the binding and miters the corners. Did you finish any UFO’s this month?